First Choice Dental loves our Madison East patients! After more than 20 years at our current office, we've decided it's time to for an upgrade. 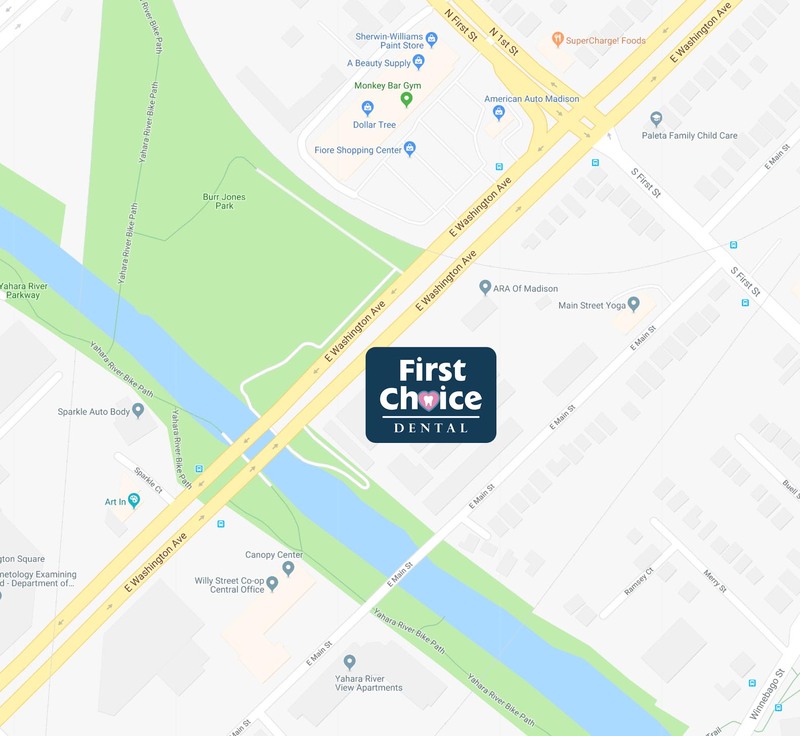 We would like to treat you to a brand new, state of the art clinic featuring covered parking, relaxing views of the Yahara River, and the same caring dental team you've come to know over the years. First Choice's newest clinic will be located in the Marling Development at 1809 East Washington Avenue. The new location is a short drive from our existing Madison East clinic. The office will open next spring and we will let you know as soon as we have an exact date. Until that time we'll continue to enjoy seeing you in our clinic located at 258 Corporate Dr.
Our new office is a short distance from our existing clinic and is conveniently located next to the E Washington & S First St. Madison Metro stop, serving bus lines 6, 14, 15, 25, 37, 56, 57, and X06. If you want to make it in to see our current office one last time, schedule an appointment before April 2019!